A copy of the unofficial mockup I created before the official branding was released. Something pretty interesting has surfaced over at Videocardz.com. ASUS is apparently going to be launching a new brand that is dedicated to AMD Radeon cards. If this turns out to be true then we are looking at a reaction that could only have stemmed from the NVIDIA GPP program. MSI has already removed their GAMING branding from AMD Radeon cards (and received significant backlash for it) but it looks like ASUS might be going down a different and more palatable route: creating a separate identity for Radeon cards. 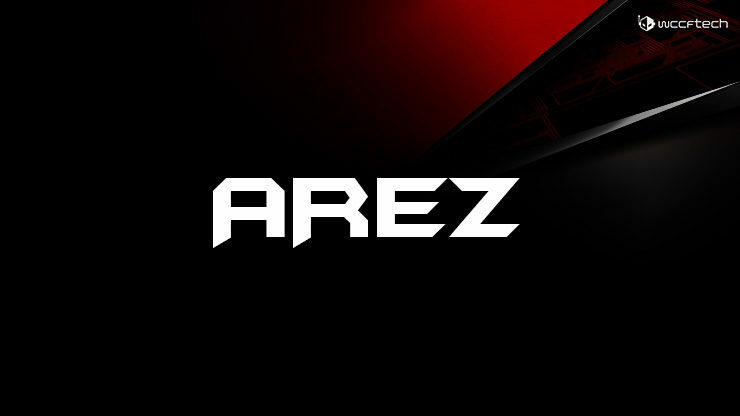 Videocardz states that at the time of writing its not clear whether it will be ASUS AREZ or just AREZ. What we do know for sure is that the Republic of Gamers (ROG) branding will no longer be a part of it and that ASUS might even drop its name entirely to completely differentiate it from the pre-existing lineups. Here’s the interesting thing though, sub-branding like STRIX/GAMING nomenclatures will be retained under the AREZ branding – this is in contrast to MSI who decided to ditch all gaming-related branding completely. ASUS ROG Strix will become AREZ Strix, so the new branding of an RX Vega 64 graphics card, for example, will become AREZ-STRIX-RXVEGA64-O8G-GAMING. ASUS Dual will become AREZ Dual, so the new branding of an RX 580 graphics card will become AREZ-DUAL-RX580-O8G. ASUS Expedition series will become AREZ Expedition while ASUS Phoenix will become AREZ Phoenix. The nomenclature change here will just constitute the addition of AREZ before the SKU title: EX-RX570-O4G -> AREZ-EX-RX570-O4G. ASUS did have an ARES series before, and it’s interesting to see only a single digit was changed from that to revive it. That said, ARES was actually named after the Greek God of War, AREZ stands for nothing. If you google it, you might find some jokes about the God of Gym, but those are entirely unrelated. It looks like this is a branding strategy that was probably created for the purpose of imparting some of the old ARES legacy while differentiating it entirely. Radeon graphics card have been short supply due to mining demand but as the prices are coming down we will see supply catch up again and its only a matter of time before they are selling at the usual rate (what used to be usual at any rate) and it will quickly become clear where the marketing nomenclatures diverge and where they do not. We have reached out to ASUS for comment and will keep you posted for more updates as they happen. AMD Radeon RX 560 XT Introduced in China, Features 1792 Cores, 4 GB GDDR5 VRAM – Can Polaris Get More Confusing?